Is your LinkedIn business page ready? Is your LinkedIn profile optimized? Is your personal branding attractive? Are you ready to start increasing your B2B conversions from LinkedIn with correct prospecting practices? Social selling is about to become your best friend because it will convince your prospects to do business with you. Traditional marketing still reigns supreme, but social selling is a tool that has become more and more essential for generating B2B sales. Learn how to use social selling to your advantage with V3 Digital! Social selling is a modern method for developing relationships with your clientele using social media. Social networks such as LinkedIn will become your playing field for targeting prospects. Social selling can become a massive B2B sales booster, if you use it correctly. V3 Digital offers a complete method for helping you reach your sales objectives. Consult our LinkedIn marketing solutions for more information. 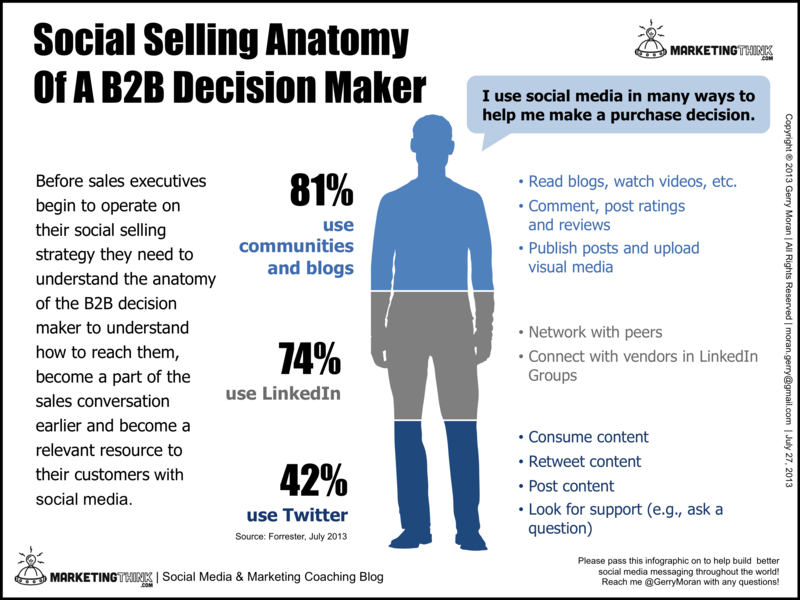 Social selling is a key step in a business’s conversion strategy. It generates real results and demonstrates the effects of optimization of your LinkedIn profile. Your social sales add value to your business, since clients obtained this way tend to stick around longer and call on you more often. Cost savings when you let us manage your strategy rather than relying on employees or marketing campaigns. Are you ready to master the art of social selling? Contact V3 Digital today!